The thrill provided by racing drones is easy to see. Whether you are a flight hobbyist or an aspiring pilot, there is a clear adrenaline rush from weaving your way around a course at speeds of up to 70 mph, all while wearing a first-person-view headset. Sounds fun, right? Still, at such a speed, crashes are inevitable and drone parts are highly dispensable, thus, racers have no choice but to use heavily modified aircraft if they want to reach a level of performance at which winning becomes possible. So, as a response, the drone manufacturer TBS (Team Black Sheep), offered an elegant and robust solution, a 5″ prop, RTF-FPV machine. Furthermore, the TBS Vendetta model was designed and test flown by professionals. If you want to know just how much fun could race drones be take a look. If this got your attention, you are in luck, as we are about to begin our breakdown of the model. To start it off, we begin with build specifications. Team Black Sheep built the TBS Vendetta with careful attention to every detail, providing all the options you could desire from the ZeroZero Camera, to the VTx Triumph antenna. The goal was reaching a highly pleasant flying experience The top TBS products were provided:: the TBS Power Cube, the 5.8Ghz TBS Unify Pro VTX and the TBS Core Pro OSD through which you can configure all tuning parameters, making it possible for even a novice to start flying within 30 minutes from the unboxing. All of these are housed in a carbon fiber monocoque with a wheelbase of 240mm. 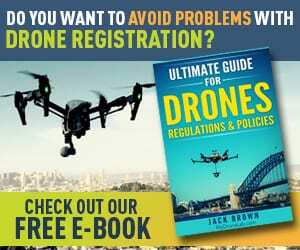 Note: The drone has no radio system, no batteries and no charger included, you’ll need your own radio system, battery and charger, to fly it, and a flight time of 3-5 minutes is expected. 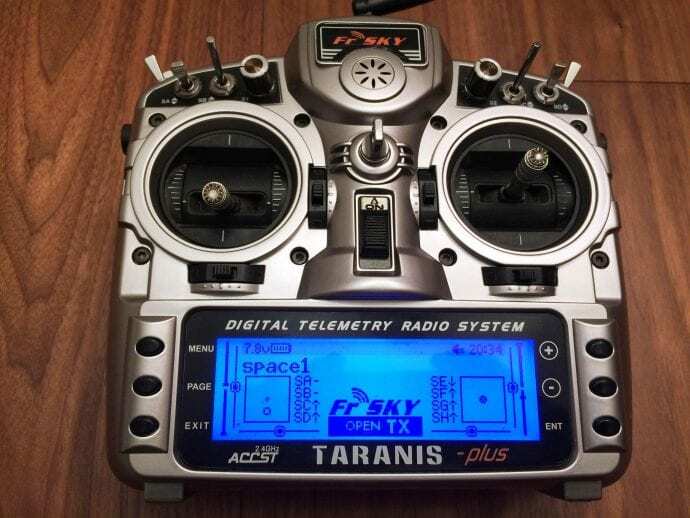 But, this really isn’t a deal breaker as there is a very good radio control solution offered by TBS: the Frsky X9D Taranis TX with TBS CROSSFIRE long range module (sold separately); they give you the top notch reliability and state of the art functionality. So, what’s in the box when you order your Vendetta? First of all, you should know that the box is very small, and all the pieces fit like Legos. The first thing you’ll find when you open it, is a load of props. 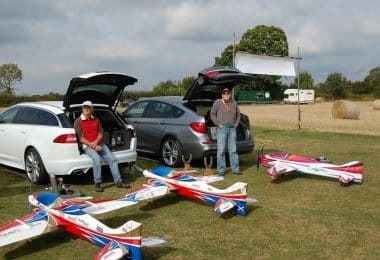 There is a full set and a spare set of HQ 5×4 Tri-Bladed props. With the motors you get around 700g of thrust each, so have in mind that this is going to be a quick model. Next, you’ll be happy to find two “love” seats, as TBS calls them. They are used to strap your GoPro camera to the TBS Vendetta, and they’re specially made not only to fit the GoPro, but also the Mobius design. Furthermore, there are two different levels of elevation (both 10 and 30-degree variations), for whether you like gliding along or you prefer prop-breaking speeds. Each of them is made from foam, so they provide vibration protection. There are also a couple of straps for the battery and one big strap for the camera. Next, there is a bag of screws and plastic covers for fixing the arms, two straws used to root your receiver, and a Triumph antenna. 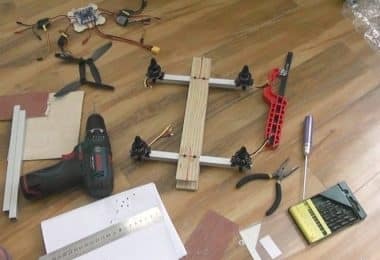 Next there are two arms which connect to the main body in an interesting way, and attached to the arms is a set of only three instructions for you to follow in order to get everything working. Packaging aside the main item we’re interested in right away is the stunning full carbon fiber body. The body is made out of a hand-molded tubular 2mm carbon fiber master. It was trimmed down by a 4-axis CNC machine and made as light as possible without compromising the durability. Everything about it screams attention to details: it has smooth and rounded edges, and a sand blasted matte finish. The grooves and cut outs really give it a sci-fi feel. 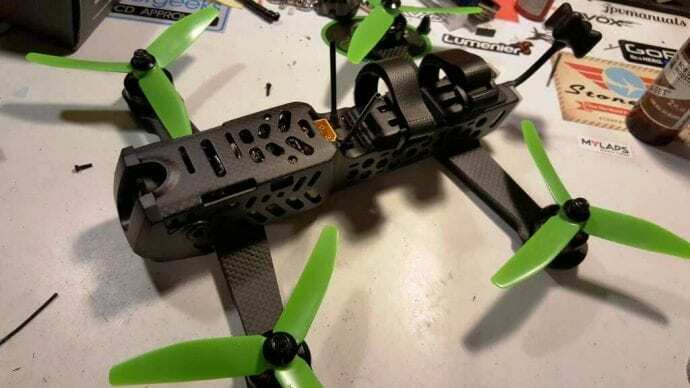 The weight of the main carbon body with the electronics inside (camera, OSD, ESC’s, VTx – kind of everything you need for takeoff) is about 200g, with the weight of the fully assembled racer at about 420g. At the front there is a bit of a wider section, because it is housing the TBS Power Cube, the Calibri Flight Controller, your buzzer (since the thing comes with a pretty hefty price tag, it wouldn’t be any fun losing it), and a TBS FPV Zero Camera with zero latency (less than 1ms end to end). Because the front part is a little wider, you have two different mounts for putting on either a GoPro or a Mobius style camera. The tail end is a lot thinner; with two sticky pads for mounting the battery (anything from a 2S to 6S LiPo battery is possible). When the battery is placed on the quad, it will lead to it having a very well balanced center of gravity. 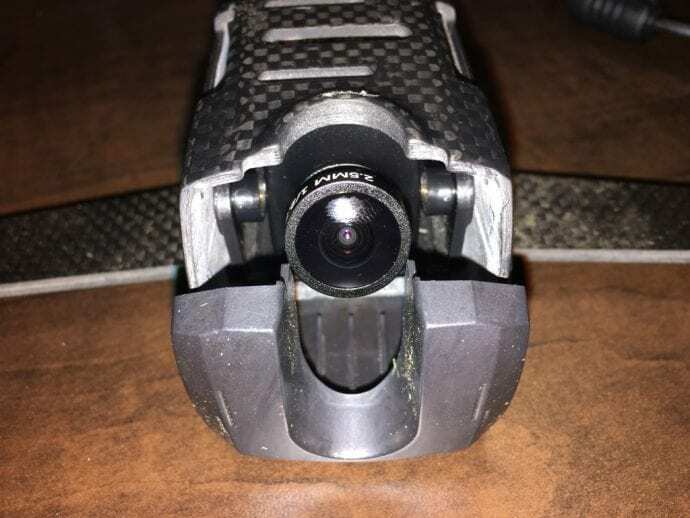 Keep in mind: The XT60 connector is placed in the middle of the frame, with very few quads doing that. At the back it has programmable LED lights which flash blue for armed, green for disarmed and red for low battery. Also, at the back, there is a RP SMA-VTC connector, since the OSD and the VTx are housed here, so the FPV Triumph Antenna will come out the back (the Triumph is a very tough and very durable antenna). On the side of the body you have a USB Connector in order to fine tune your controller if you wish to do so. Even the arms have a unique look to them! Machined from flat 3.5mm thick carbon fiber plates, they are designed to be quickly swappable (faster replacing or maybe easier to travel with), with the prevention of delaminating in mind, for those “oops” moments. They have integrated motor wires running through them, which plug into the frame with MT30 connectors. There are also two spare arms in the package, which is nice. The TBS ZEROZERO camera is optimized for high-speed FPV flying, with improved low light handling and latency below 1ms (glass to glass on TBS products). To make sure this camera can fit onto any quad, it supports 5V to 22V input. Another popular option would be to change it for HS1177 which is available in IR sensitive and IR blocked. If you don’t know what this means, IR sensitive picks up light sources better than IR block. You can’t fly too far away from lights at night with IR block, but, with IR sensitive as long as there’s some light in the area you can see a whole lot more in the dark. With the ESC’s capable of handling 30A, the TBS Vendetta can go as high as a 6S LIPo battery. However, as a beginner, 4 cell batteries would be a perfect fit. You could also try practicing with 3S batteries, until you get the gist of flying. So a wide range of batteries can be used. The battery is mounted at the rear of the body, on two pads and with two straps to keep it safe. Note: Some adjustment might be needed in order to achieve the perfect center-of-gravity, which is found in the middle of the frame. Since the machine is quite heavy, a flight time of only 3-5 minutes is expected. Also, an interesting fact is that the quad’s body has the same width as the battery itself, so there isn’t enough room for you to mount your own electronics. The solution for the flight controller is called TBS Calibri running the 72 MHz STM32F303R microprocessor. Among its main features, it has a MPU6500 3-axis gyro, a receiver port – PPM, SBUS, a GPS-compass-altitude port, an USB port and a push button for DFU boot mode. The TBS Vendetta can be controlled using a radio transmitter and a receiver. By default it expects a SBUS signal from the R/C receiver, one of the most commonly used protocols for FPV racing. With these motors and props, the TBS Vendetta is very aggressive and very responsive on the sticks. The lights at the back are easy to see, so it’s great for orientation and makes the FPV flight fantastic and really fun. Line-of-sight flying isn’t so much fun, because as soon as it gets away, like most small drones, it becomes just a little dot in the sky. 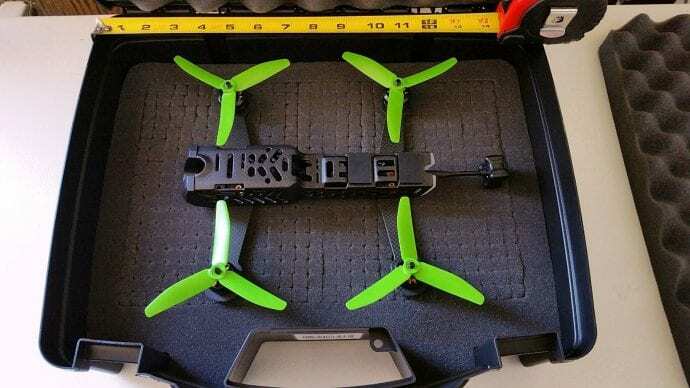 For freestyle flying, you can get about 5-6 minutes of flying time; otherwise, standard flying is about 3.5 -4 minutes with a 2200 mAh 4S battery. With the same battery, a TBS CROSSFIRE with micro receiver and a FrSky Taranis X9D Plus controller, you can reach speeds of up to 80 MPH. The range of the TBS Vendetta varies according to the environment. It is considered good practice not to fly with a video system capable of outperforming the R/C system in terms of range, and vice versa. A distance of 1.1 miles is possible before video becomes choppy. 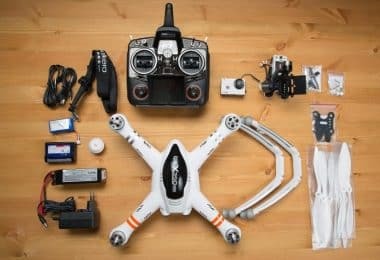 For the price of 500$ you get what is considered one of the best racing drones with a very unique design, rocking some of the best firmware possible, four powerful 6S capable ESC’s, cobra motors, a high quality camera, a video transmitter, an antenna with the clearest video signal and the best range, and the added feature of having it fully configurable through the OSD with no need of plugging it into a pc. The only thing you’ll need to get flying is a transmitter and receiver, 4S battery, charger and some video goggles. Users also buy the FrSky Taranis X9D Radio Transmitter, which will also set you back $209.00. There is no mention of a warranty on the seller’s website. What makes the TBS Vendetta stand out is the full carbon fiber body (the thing is a real work of art). The body isn’t just eye-candy because it also feels extremely strong. You can see from the exterior finish that a lot of thought has been put into the design process. The design of the TBS Vendetta is modular, with independent parts working together as a whole. 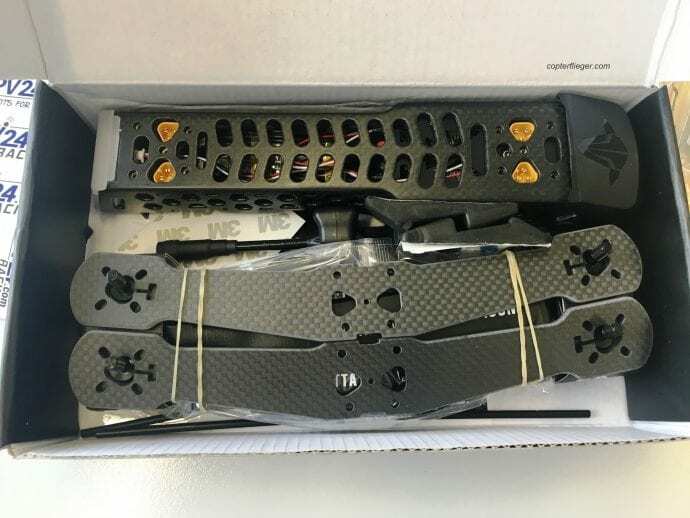 For example, the two 3.5mm carbon fiber arms are easily snapped into place and quickly replaced via MT30 connectors placed on the main body. They come detached to allow for quick access and configuration of the electronics. 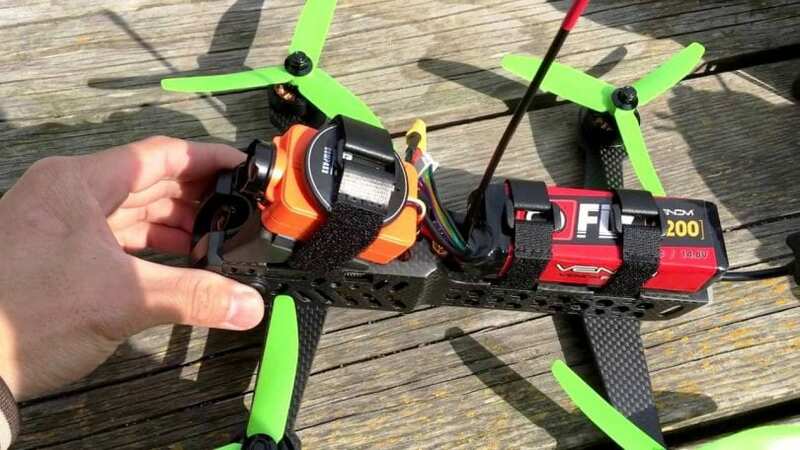 The TBS Power Cube has the fastest F3 board available, containing overpowered 20A/30A ESC’s which give you the option to step up to a 6S battery and bigger motors and gain outstanding power-to-weight ratios. 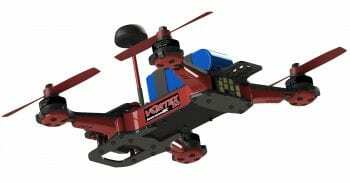 IRC Vortex 250 Pro is a great ready-to-fly drone and is considered to be the best TBS Vendetta alternative. 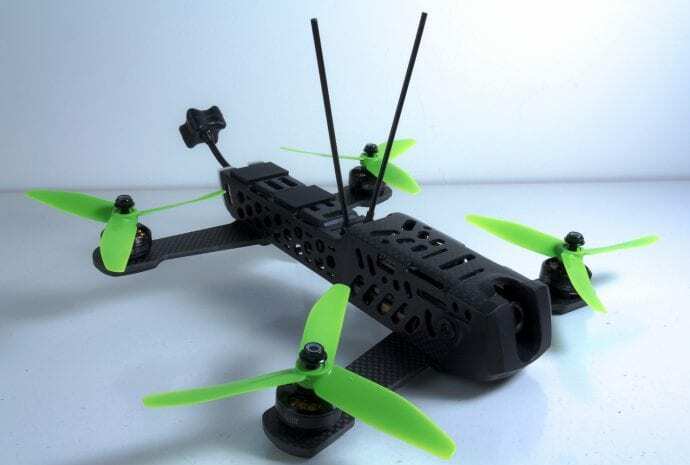 It’s a proven 250-class winner drone, and it still remains relevant due to the affordability ($479) and uses 4mm thick carbon fiber flat arms making the drone almost unbreakable. The state of the art F3 processor guarantees the best speed. Its’ size is similar to the TBS Vendetta, but it uses twin bladed propellers and is heavier. Both have very unique profile and design, but once you go down to the core of the system, the Vortex runs Multistar V-spec 2204 motors compared to the Cobra motors, and the EACs are limited to 20A compared to the TBS Vendetta which has 30A. In the end, The TBS Vendetta comes out on top. The Eachine Racer 250 was initially designed as a fast and affordable solution to get you started in the world of FPV racing. If you want to move on from toy drones, this is the perfect fit. 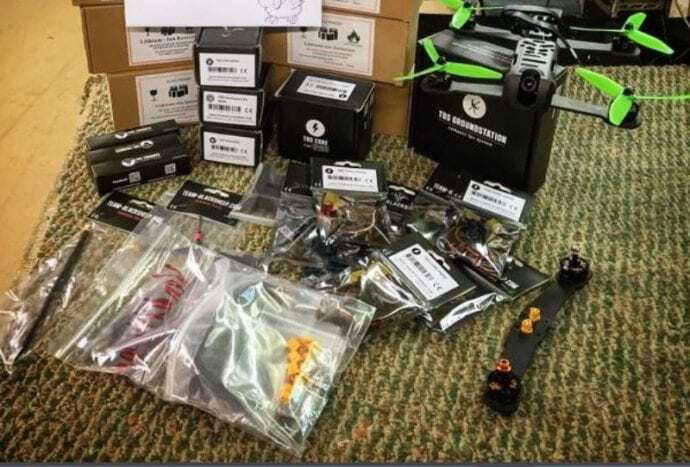 It has all the parts required for FPV racing, including FPV gear, a controller, power batteries, and charger. The 5.8GHz transmitter provided is fully equipped with an OSD (on screen display). 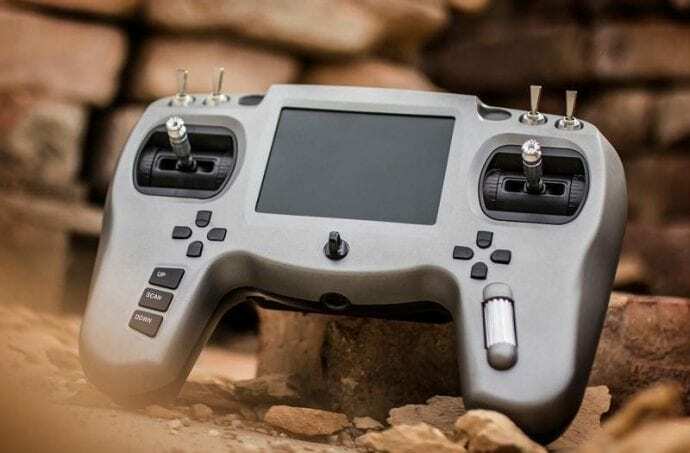 It also has the standard carbon fiber body that gives it the durability of a racing drone. The range on it is incredible; it has mushroom antennas which give it a 1.7 kilometer line of sight. It has a camera mount and the stock battery can last up to 10 minutes on a single charge. The back mounted LEDs change color, making it an ideal racer. At $169 on Amazon, it’s a really affordable introduction to the world of FPV racing. 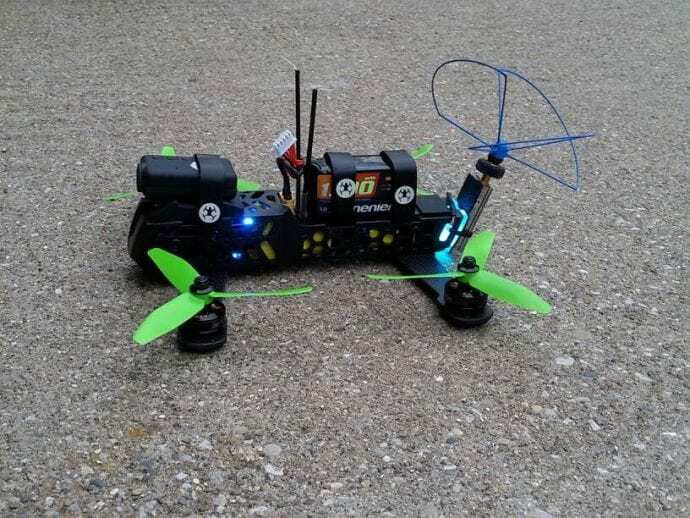 Another affordable way of getting your racing fix without breaking the bank is the LHI 250 RTF FPV Racing Drone. 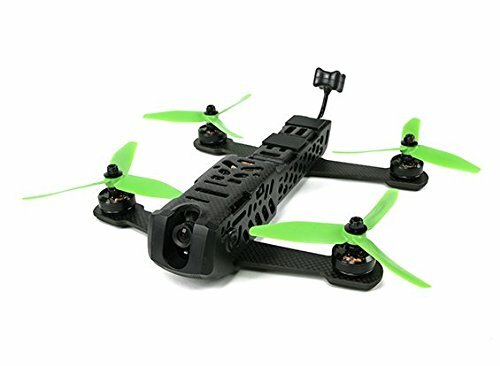 At under 200$ ($185.00 on Amazon), this is an easy to fly and also powerful ARTF racing drone. The LHI 250 is designed for fast speed, not for stable flying. The CC3D Flight Controller is an all-in one stabilization hardware, with OpenPilot firmware and many advanced features such as GPS module support. It uses the powerful STM32 32-bit microcontroller, with 128KB Flash and 20KB RAM. The CCD3 flight controller has a 3-axis Gyroscope array and 3-axis Accelerometer. The drone comes with high quality MT2204 2300KV brushless Motors, much more powerful and durable than brushed motors. The Simonk ESC’s also offer good value with programmable 12A continuous current. The controller is a FS-T6 6 Channel 2.4-2.457Ghz Frequency remote control with a range of 700m. The recommended battery is a 1500 mAh 3S Lipo, offering 15 minutes of flight time. Unfortunately, the battery is not included in the package. This machine has good quality components and frame. You can let her rip directly out of the box, without adjusting any software settings. The TBS Vendetta is guaranteed to turn some heads. But aside from the eye candy, the fact that it’s so easy to get it up and running is a testament to the thought and effort put into the design process. 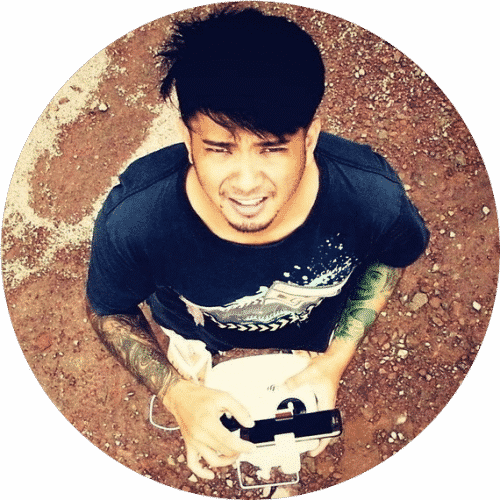 The possibility to tune the Vendetta directly from the OSD is great, because it allows users to not have to go through the experience of sitting in front of a computer, eagerly trying to get the drone to fly. Now let’s see some small review of TBS Vendetta. 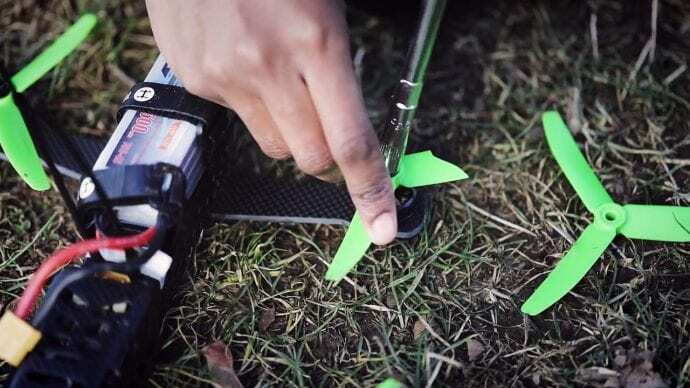 The TBS Vendetta excels in all departments as an RTF racer, from the design to the top notch electronics and firmware. So, if you like speed demons and love the sensation and the adrenaline that FPV races offer, then this model is definitely one worth considering. One more thing before we go: if you like what you read here, and think that more people should see it, feel free to share, but the same goes, if you think we missed mentioning something important, leave a comment in the comments section below, we would love a feedback. Enjoy your races!